The Summer Infant Deluxe Baby Bather is just $10.99 !!!! reg price $16 !!! 4 designs you can choose from !!! 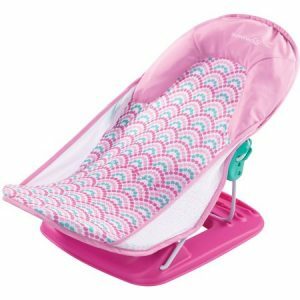 Safely and securely bathe your newborn in comfort with the Summer Infant Deluxe Baby Bather. A soft, mesh sling cradles your baby, while multiple recline positions provide the most comfortable positioning for your little one, making it the perfect choice from the very first sponge bath. Fisher Price 2.2″ Play Balls, 250pcs for as low as $14.88 + FREE in store Pickup!! reg price $33!! Bratz #SelfieSnaps Photobooth with Doll for $10.97 !!! reg price $50!!! Igloo Mini Beverage Fridge – 6 Cans for only $29.52 + FREE in store Pickup!!! reg price $60!! Ozark Trail 10′ x 10′ Instant Slant Leg Canopy for just $39 + FREE shipping !!!! reg price $60!!! Disney® Princess Belle Enchanted Dollhouse with 13 Accessories , for just $64.99 !!! reg price $150!! !